The nice thing about Form Tools is that it never boxes you in. If you set things up one way, you can always change them later on. 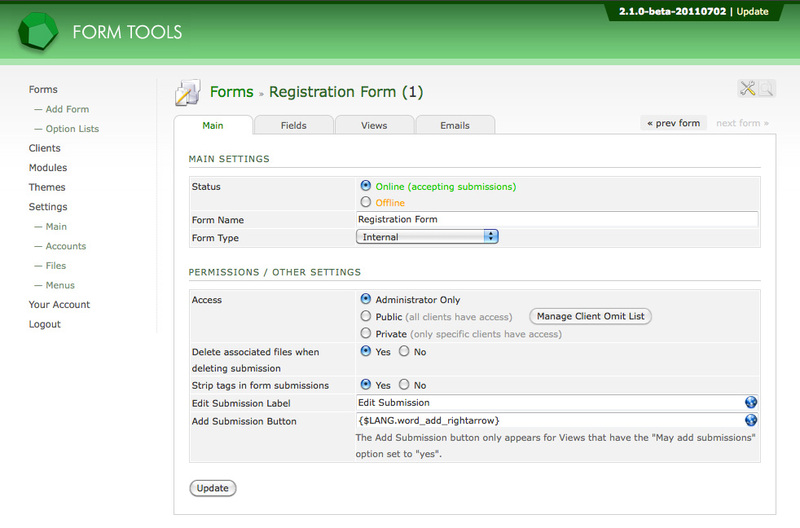 The following pages discuss each option found in the four Edit Form tabs: Main, Fields, Views and Emails. 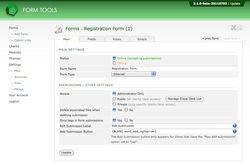 Form Tools 2.0.x users may notice that the Database tab has disappeared. In 2.1.x, the functionality in the Database tab was merged into an updated Fields tab.